Our Cortland personal injury lawyers regularly serve injured Cortland workers, motorists, and others. The City of Cortland itself has about 19,000 residents, and is the seat of Cortland County's government. The City is situated not far from Interstate Route 81 between Binghamton and Syracuse, New York. Cortland was settled in 1791, became a village in 1853, and then a City in 1900. Cortland is home to Cortland State (also known as SUNY Cortland), a 4-year college that has an undergraduate population of approximately 6,500 students. It has developed an exceptional reputation as a “teachers” college. From 2009-2012, the New York Jets located their summer training camp on SUNY Cortland campus. Michaels & Smolak has represented personal injury and medical malpractice clients from all over the City of Cortland, nearby McGraw and throughout Cortland County. In one such case, our client was a construction worker severely injured as a result of a fall from a ladder during the construction of a commercial building. He had been ordered to go up a ladder to affix fascia near a roof line. Unfortunately, the only “ladders” available to get up on the roof were two halves of an extension ladder that had been deliberately separated. The half-extension ladder our client was given for the job did not have the required safety footings. To prevent the ladder from slipping, the foreman advised him he would steady the ladder for him by “footing it” (holding the ladder with his hand and placing his body weight on the lowest rung). The injured worker climbed up to top of the ladder but as he did so the foreman momentarily took his weight off the bottom rung the ladder, which then collapsed, causing our client to fall 10-12 feet onto a concrete pad below, landing on his head. As a result our sustained brain damage including a bleed on the brain (cerebral hemorrhage) resulting in mental, balance and coordination, speech and vision impairments. The legally responsible parties sought to evade responsibility by arguing that the injured worker himself was solely responsible for the fall in that he knew going up on a ladder without appropriate footing could result in the ladders slipping. The personal injury attorneys at Michaels & Smolak argued on behalf of our Cortland client that the general contractor and owner of the building had violated New York’s “scaffold law” (Labor Law 240) by providing a defective ladder and were thus responsible. Ultimately, our argument prevailed. Our personal injury lawyers have successfully handled numerous construction-related injury cases in Cortland and its surrounding counties, including cases involving falls from ladders, scaffolds, roofs and anywhere other elevated areas. We also handle construction injuries when violations of the regulations outlined in 12 NYCRR 23 (New York’s industrial code) have occurred. Success in these types of claims often depends on how well the issues are framed and presented. The Michaels and Smolak injury lawyers’ team has years of experience with construction-related injuries and presents these cases in a manner to maximize the chances of success for the injured worker. The personal injury attorneys of Michaels & Smolak also handle, in Cortland and the surrounding counties, any and all cases where a person is injured through the negligence of another, including in medical or legal malpractice situations. Our lawyers work as a team on each and every case. Unlike almost any other personal injury law firm, Michaels & Smolak holds bi-weekly meetings where its four attorneys discuss their cases collectively for several hours. This collaborative "brainstorming" leads to better case results. The firm's Cortland clients benefit from this same team approach to case preparation. 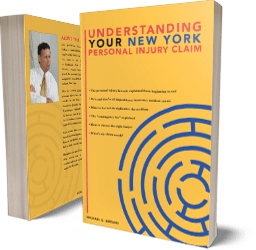 Michaels & Smolak's reputation as a premier injury law firm has lead several Cortland attorneys to refer their personal injury and medical malpractice cases exclusively to Michaels & Smolak. Michaels & Smolak provides a free consultation on each and every new case inquiry. The lawyers of Michaels & Smolak often travel to their clients' homes, in Cortland, McGraw, Homer and elsewhere in Cortland County, to meet with them regarding their cases. Michaels & Smolak also has law offices in Syracuse, Liverpool and Auburn. Don’t hesitate to contact our Cortland personal injury lawyers for a free consultation.